Who doesn't like midnight snacks, especially if you're up late studying? Vegans love snacks! Many dorm cafeterias, however, are only open for certain hours. When I lived in the dorms as a new college student, I was one of those people who was constantly sneaking an apple or a granola bar into my bag to eat for later. Some dorms allow students to have an electric hot plate or a microwave, while some don't. If you can, why not provide your college student with an electric wok or a crock-pot? I find both of these options to be much more versatile than a simple hot plate. You can cook up lots of vegetarian one-pot meals with a wok. Of course, you can make vegetable stir-fries, but you can also use a wok to make soups and even to boil water and make pasta or noodle dishes. A college student can even use their wok to cook up some dirt-cheap vegetarian ramen if they're on a tight budget. Plenty of healthy soups, stews, and casseroles can be baked in a crockpot. And, perhaps a better selling point, is that it can also be used to make junk food such as bean dip or chocolate cake for those late night study sessions or midnight cravings. Here are some easy crockpot recipes suitable for college cooking in the dorms. Most of these can be prepared with dry ingredients that you can keep on hand in your dorm, but, of course, if you have a fridge, you can always add fresh vegetables or some tofu to make it a bit healthier. For all those starving artists as well as the college students out there, here are some easy vegetarian ramen recipes, most of which take just a few minutes to make. But ramen doesn't just have to be food for the not-yet-wealthy. By adding veggies or tofu, you can make a complete meal for the entire family in just a few minutes, since ramen takes less time to cook than other noodles or pasta. Want an even cheaper meal? 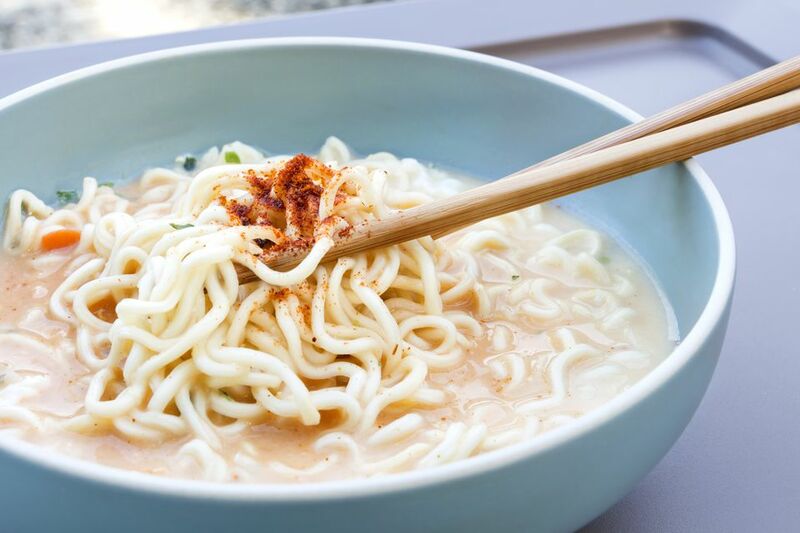 Buy your ramen in bulk, or, stop by your local Asian grocer where you'll find that ramen costs about half as much than in the regular grocery. Just be sure to read the label to make sure you're picking out a vegetarian ramen package.